Founded in 1868, Oregon Humane Society was one of the first animal welfare organizations in the United States. 2.2 million people live in the target area of metropolitan Portland, 3.8 million statewide. Oregon Humane Society offers statewide services. Thanks to outstanding customer service, marketing, and out of the box ideas, the Oregon Humane Society (OHS) is on pace to adopt 11,000 healthy and treatable dogs and cats this year. (10,113 pets were adopted in 2009.) Barbara Baugnon, the Marketing/Communications Director, is an enthusiastic advocate and spokeswoman for OHS' model for success. "Every employee of OHS is expected to make a commitment to each life in our care as if it were our own personal companion. We are collaborative, committed, and have a diverse fundraising platform to provide the resources to do the job." An emphasis on adoptions began when OHS built a new state-of-the-art facility in 2000. The old shelter had been in existence since 1939. Baugnon says, "We had a 65% adoption rate in the old shelter. The new shelter gave us credibility in the community and increased client traffic. It increased our ability to hire top-notch staff and attract A-level Board members and volunteers. Now our live release rates average 96%." In 2007, OHS added the Animal Medical Learning Center which has allowed them to save animals that previously would have been euthanized due to illness, injury or behavior. OHS now has "consistent, high-quality veterinary services available around the clock." Adoptions skyrocketed and shelter time plummeted because animals were able to be treated and made available for adoption sooner. OHS partners with Oregon State University (OSU) College of Veterinary Medicine, and all veterinary students complete a two-week course taught at the OHS shelter by OSU faculty and OHS staff. OHS also conducts animal behavior training seminars at the Learning Center. Behavior issues are the number one reason why dogs are surrendered to a shelter, and often the behavior can be easily corrected with time and patience. As soon as an animal enters the shelter, OHS is committed to a successful placement of that pet. It is that singular focus that defines OHS' programs and is the basis for the treatment of the animals in their care and the interactions with the community. It starts with a picture posted on the website the minute the animal is available for adoption and ends with an extensive support network for adopters and pet owners at risk. People entering the shelter are greeted by a concierge who helps the client navigate the shelter. "Employees are focused on getting our pets great homes and have the discretion to make decisions on their own. Volunteers are also coached on how to interact with clients to ensure that their shelter visit is a nice one. Great customer service is expected at all times." Clients are trusted and treated as heroes unless there is a reason not to and the focus is on supporting new adopters. The result is strong client loyalty, phenomenal save rate, and a return rate of less than 5%. Ryan is a mixed breed dog who came to OHS as an interagency transfer from Coos County in August 2008. She was adopted and returned in August because she was "too much". She was at the shelter for 5 months and became a staff and volunteer favorite. Sadly she was also diagnosed with bladder cancer. We estimated that she had about 6 months to live but we wanted her to have a great home until she passed. But who would want to sign up for such heartache? Our volunteers launched a campaign to find that special someone. In a restaurant, a man named Vince overheard our volunteers talking about Ryan and wanted to find out more. Ryan and one of her forever family members.The next day Vince came to the shelter, fell in love and took Ryan home. That day was December 24th and Ryan became our very own Christmas miracle. As of June 2010, Ryan has defied all estimates and is still alive and well with Vince and his family. OHS has two categories to showcase animals that have been at the shelter for a long time. The nine cats that have been in the shelter the longest belong to the "The Nine Lives" club, and the eight dogs who have been in the shelter the longest amount of time belong to the Great Eight. If an animal from one of these categories is adopted and returned to the shelter shortly after, the animal resumes membership in the special category. The long-timers have a dedicated section on the website and are the focus of special promotional campaigns. 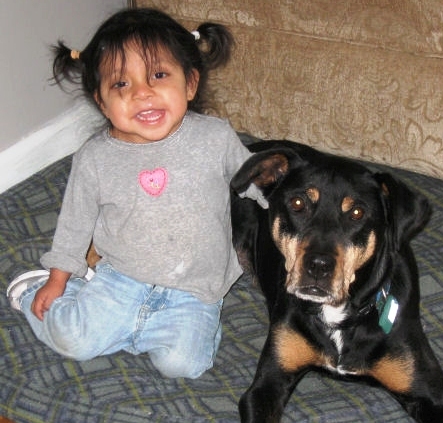 Through their Second Chance program, OHS accepts animals from other shelters. OHS' admission philosophy is to save the pets most a risk by focusing on animals at other shelters and favoring the intake of fertile cats over sterile. There are specific criteria, and mandatory veterinary requirements, such as first shots, and all animals are put through a behavior evaluation. OHS will not accept animals with a history of biting or aggressive behavior, although they will work with the staff at other shelters to train staff to evaluate and rehabilitate the animals. They will likewise not accept pitbulls, mastiffs and other "power breeds" or dogs that may be coyote or wolf cross. They will, however, accept small animals such as rabbits or birds. In 2009, they accepted 2,711 animals that other shelters in the area had been unable to place with new homes. The OHS "publicity machine" plays a big role in generating adoptions and donor dollars. In 2009, OHS issued 132 media releases, which led to 390 articles in 80 publications, and 824 stories on TV for 579 minutes of news time. "Our publicity is invaluable. We do good work for the animals and tell people about it through the media. Then when we ask for help, people remember us and are more inclined to give." The shelter runs adoption promotions all year, such as adopt Black and Orange Pets at Halloween, or "Labrador" day at Labor Day. They have an "adopt one, get one free" program for adult cats, and kittens are adopt one, get one 50% off. Adoption fees vary depending on the type of animal and the popularity - cute puppies and popular breeds cost more than special needs animals or harder to place animals. The higher fee for animals that are adopted quickly helps subsidize the cost of the animals that remain at the shelter for longer periods. OHS also runs a three month print, outdoor, and broadcast advertising campaign each year to expand their brand and keep the organization top of mind for direct mail campaigns and the annual telethon. For the last few years, the campaign has been called "End Petlessness". The slogan is geared to OHS' goal of saving every life by enhancing the human animal bond and the joy pets bring to our lives. The shelter spends approximately $230,000 for the campaign, but another $250,000 in media buys is donated. In addition to generating more donor dollars, the campaign has played a major role in increasing adoptions and volunteer hours. As part of their marketing, OHS has introduced fun strategies like branded Java Jackets (the cardboard sleeves that wrap around disposable coffee cups) at local Starbucks locations, branded pet water bowls located at pet friendly hotels, pet shops and Ben & Jerry's locations throughout the Portland area, and window clings. Baugnon says, "These tactics reach people in unexpected and surprising ways, which helps increase brand awareness and affinity." Social media sites such as Facebook and Twitter have helped to promote OHS. 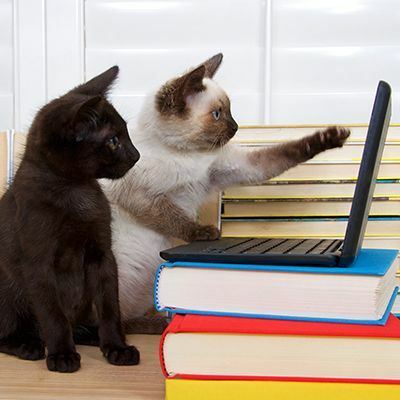 "We have a vibrant online presence on the social networks that is very helpful in promoting special pets and events." The Facebook fan page gives updates on animals waiting for adoption, lets people share photos of animals that they have adopted through OHS, and currently has almost 7,000 followers. There are other ways the public is encouraged to help OHS. They can sponsor animals in the shelter, donate an item from the wish list, which includes everything from food and newspapers to heating pads, or become a foster parent for animals who have been in the shelter a long time. Cash donations are always welcome. To instill community trust and confidence and to keep everyone informed about lifesaving achievements, financial reports, save rates and animal statistics are readily available on the OHS website. With their commitment to exceptional customer service, finding a home for every pet under their care, and their operational transparency, the Oregon Humane Society is a model of success and a place of second chances for Oregon's pet population. Webcams with real time pictures of dogs and cats in shelters aren't new. But what if you could use your keyboard to move any one of three robotic cat toys in a playroom and see a kitten chase after the toy in real time? Now you can here. This marketing/adoption/fundraising bonanza is the next great thing in animal sheltering. In the first week after the playroom premiered on September 30, 2010, it was featured in the media 30 times; 17,000 visitors viewed the site; 6,500 people played with a kitten; sponsored donations went up 37%; kitten adoptions went up 14%; and website traffic increased 52%. "We hoped the playroom would inspire people to remember the joys of having a cat and adopt. Obviously, it has gone far beyond that," says Barbara Baugnon, OHS Marketing/Communications Director. The system was donated by Apriori Control, an animal loving technology company. They may have found a unique way to help cats and dogs - and their company - on a very large scale.